After two decades of living with her “fake butcher block” countertops, another woman was ready for a change. Imagine her shock when she saw the sample countertop Jonee brought out. 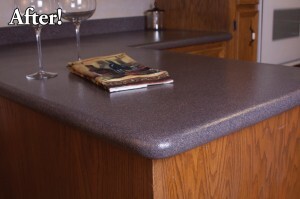 Half of it had been refinished using the Miracle Method…but the “before” was exactly the same as her actual countertops! In a single day the Miracle Method team transformed her old countertops using Natural Accents™ in the color “Landslide” with black, gray and white to pick up the floors and the black and white appliances. Her kitchen dropped twenty years in less than twenty hours! 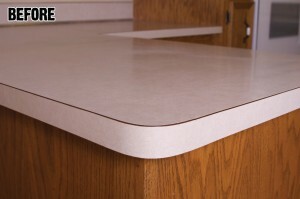 Even if you still love the color of your counters, they may be showing their age in other ways. Imagine the place where you dropped a mug and left a chip or crack–gone! 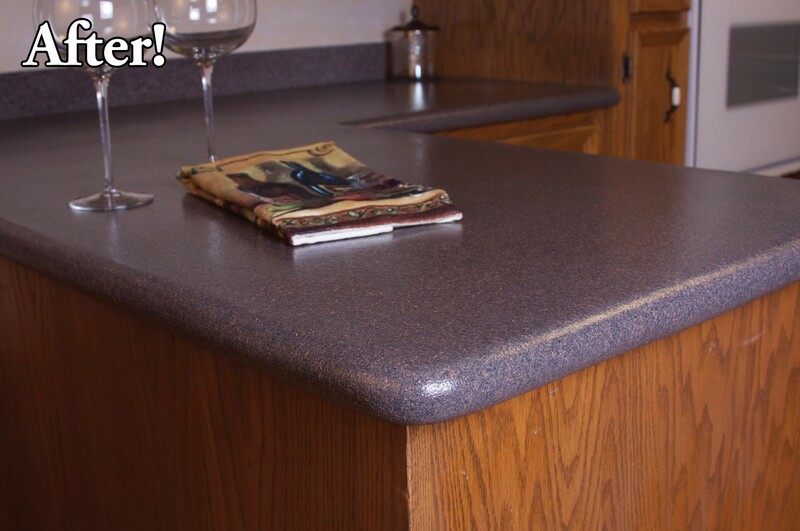 The discoloration from a hot pan or a water ring on your counter–vanished! The Miracle Method doesn’t just change the look of your surface…it extends the life of your counters by ten to fifteen years. That’s an easy, effective miracle!